We spoke to the owner. Her husband’s a plumber. They emigrated from England four years ago. She found the car in England. She paid AUS$20,000 for it. She had it restored. 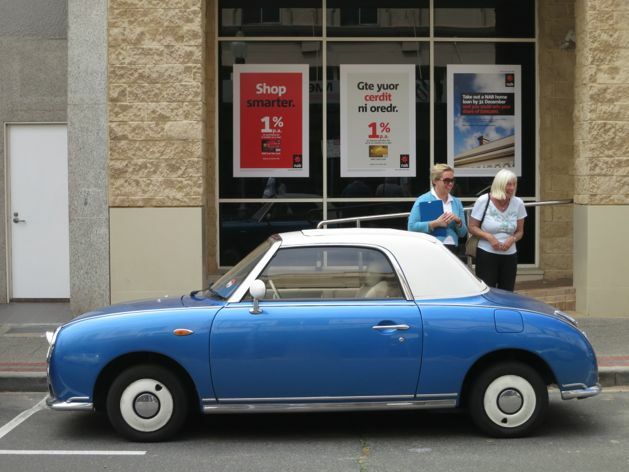 Nissan Figaro at NAB, High Street Fremante, Australia. See more Nissan Figaro’s here.